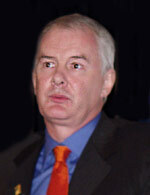 It might seem like I'm unfairly picking on VANOC CEO John Furlong, but I'm not. I'd like nothing better than to tell you he's doing a fine job representing big and small business alike, but he is making it very hard to do so. 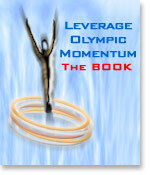 I heard him speak to a packed house at a Vancouver Board of Trade luncheon on October 14, 2004 in the Grand Ballroom at the Sheraton Wall Centre and unfortunately, once again I was disappointed how he presented the Olympic business model to our 2010 community. The luncheon (which by the way was as always, well-organized by the VBoT and impeccably hosted by the Sheraton Wall Centre) was supposed to bring us up to speed regarding the exploratory trip Furlong and his executive team took to Athens during the Games this summer. The tab to send the VANOC executives to Greece was somewhere in the vicinity of $380,000, so needless to say I was expecting to hear a balanced report. Instead the best Furlong could muster was an insipid rah, rah, rah, sis boom bah cheerleading rally. Furlong shared with us all the good and awe-inspiring experiences of his trip to Athens, but he failed to fill us in on the downside of the event. In fact, considering his position, he went way too far out of his way, even so far as to be irresponsible, to sugar coat and downplay the economic nightmare of Athens. For example, he told us how easy it was for him and his team to move around Athens, but what he didn't mention was that it was easy to get around because the international crowds that Greece expected, never showed up. It was an unmitigated disaster from the perspective of hotel and event ticket sales. He also told us the first five days looked pretty sparse in the stands, but it thankfully didn't take long for the Greeks to flock to the venues. What he failed to mention was that the Greeks, in a panic, "papered" the venues - they gave away and sold tickets at deep discounts. It's an old trick entertainers have used for decades to save face. Furlong implied that media blew things out of proportion - which in turn negatively impacted the events. Oddly, it seems that local mainstream media take no offense to his inference. Something stinks in paradise. It's important to note that 'local media' only complained of Furlong's performance a day after the article you're reading here was published - two full days after the luncheon. Their initial report the day after mentioned nothing of Furlong's misinformation, which leads me to believe they were waiting to see if anyone noticed. In other words, they were prepared to let it slide. Furlong opened his speech by telling us that Athens was a great success. He backed it up by telling us that they broke a record for the most television viewers in all of Olympic history (4 billion viewers, beating out Sydney in 2000 at 3.6 billion. World population is about 6.4 billion). It may be good for BIG business television, but it doesn't do much to help struggling Greek SMBs that couldn't fill hotel rooms, restaurants, retail shops or resorts. Apparently the payoff is coming, unfortunately it could literally take fifty years or more - i.e. Montreal. Furlong implied a couple of times during his speech that media irresponsibly blew things out of proportion. He made it sound like everything was fine in Oz and that negatively on the part of media was the problem. Hardly John, in fact if you take a close look at reportage you'll find that most mainstream media went out of their way to smooth things over, which ironically is just as bad. Furlong's interpretation of success and my interpretation of success are literally billions of dollars apart. What he also failed to share with the VBoT luncheon crowd was that Greek taxpayers are on the hook for a documented $8.6 billion US and maybe as much as $17 billion. No, you're not reading it wrong - billions of dollars. Montreal is still paying for the 1976 Olympic Games. He didn't tell the crowd that either. Rah Rah John. Do you have any news from Athens we can use? If we are to produce a successful 2010 event it is imperative that we have all the facts. It's insulting to the business community to be spoken down to. We read the papers, and watch television, and listen to the radio. Most of all we are online - at least the smart ones are. Some of us know exactly what is going on. If John Furlong thinks he's going to pull the wool over anyone's eyes he is mistaken. We are going to call him on it every step of the way. Everyone in B.C. wants to share in the success, but small and midsize businesses do not stand a chance if we are going to be misled. We need the truth. We can handle the truth. Tell it to us straight John. If you continue to be evasive and misleading we're going to start thinking you're keeping something from us. It's not a reputation you'll easily shake or a legacy you'll be proud of, so please John, no more half truths. It's all right to speak up when you see something wrong from your 40,000 foot perch. We won the bid. It's all right to challenge the IOC or honestly critique cities that have gone before us and dropped the ball. We owe them little and you owe us everything. Whose side are you on? Get your priorities straight and we will 'ALL' come out winners. Spit the feathers out of your mouth and come clean. Internet viewership increased 230% in 4 years between Athens and Sydney. Ironically, in every way the 2000 Sydney Games were more successful than the Athens' financial nightmare, but still, Internet traffic increased by 230%. Does this tell you anything? Can you imagine what will happen by 2010? If 230% more people watched the Athens' Olympics online than they did in Sydney it will be over the top by the time the Winter Games hit British Columbia. It's already started, but unfortunately your company probably isn't taking advantage of the increased visibility. Just because you aren't representing your company accurately online doesn't mean the rest of the world isn't looking. We live in a global community and if there was ever a time for your company to start promoting itself internationally and exporting products and services it is now. Vancouverites are infamous for being a little lazy when it comes to hard work and this unfortunate reputation is more than reflected in bad looking and poorly designed websites. The paradox here is that we have incredible products to offer the rest of Canada and the world, but we are either too lazy or just plain don't know how to promote ourselves properly. Why should we? We've been a 'have-not' province for so long we haven't had any reason to learn how to do it properly. The window of opportunity is small, but it is already flung wide open. If your web presence doesn't accurately reflect the high quality of your products and services you are undermining the strength of your company. Don't wait, get on board and get in the Games. Dallas Mavericks owner Mark Cuban says he started his BLOG "because I was tired of giving in-depth responses to a media question only to have the result be what the reporter or columnist intended to write and I was just fodder to help them make their point. With the BLOG, I can present my position on a topic in its entirety and not have to worry about how they condense a two-hour conversation into 500 words." If managers of professional sports teams think it's important to establish a strong internet presence why shouldn't you too. They do it because it's relatively cheap and easy. They know they can bypass all the other expensive forms of promotion and counter misinformation spread by mainstream media. They love the power and direct access it gives them to fans and customers. Small and midsize businesses can also take advantage of the internet and develop promotional strategies that place and keep their companies front and center. 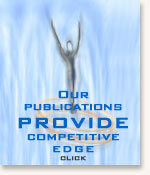 It's not hard to learn how to use mainstream advertising to leverage your internet presence. One feeds off the other, but if you don't make plans to do it, it won't happen by itself. Just do it. CHRIS SHAW WANTS TO GIVE THE GAMES BACK! Not so fast Chris. Sending the Games back to the IOC like Denver did in the 70's isn't an option. Granted, VANOC is already starting to backpedal regarding costs and obligations, but if small and midsize businesses get a little creative they can more than make up for IOC or VANOC shortcomings or mismanagement. Don't bail on B.C. so quickly Chris because without doubt small and midsize businesses have more power over the big box machine of the Olympics than they have ever had in the past. One indication is that 230% more people watched the Athens Games in 2004 than they did the Sydney Games in 2000. Sports fans went online in huge numbers to watch the Olympics and you can bet if they are interested in watching the sporting events they are also eating up everything else related to Olympic regions, including tourism and industry. The greatest benefit of hosting the Olympic Games is being able to shine a light on the region and show what they have to offer. By far everything else pales in comparison, including winning gold medals. All of a sudden your region is on the map and everyone, including companies from around the world looking for new products or services have an opportunity to discover you exist. It doesn't get better than this 'once-in-a-lifetime' opportunity. It's time to put away the hiking shoes, skis and kayak for a while, or at least curtail your leisure activities a bit and put more effort into your business. Get while the gettins' good. If you can optimize and make the next few years leading up to the Olympics work for you you can retire by the time the Games arrive and then spend all your time in the mountains or on the ocean in Lotus Land paradise. Utopia will never be so good.